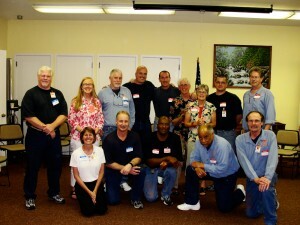 The Oregon Prison Project offers qualified inmates the opportunity to learn how to teach NVC by becoming Peer Trainers in our NVC Education Program classes, because we recognize that the most effective trainers are those who “know the territory.” Inmates who have graduated from the Education Program are welcome to apply to the 3-year Peer Training Program. Those who are accepted into the program receive extra weekly training on how to teach NVC, and then participate in weekly classes with experienced facilitators. In their first 48-week program year (which extends over 15 months due to the summer break), Peer Trainers observe the class’ lead trainers and provide training support. In their second year, qualified Peer Trainers serve as active co-facilitators, and in their third year, qualified Peer Trainers begin leading classes under the supervision of a lead trainer. 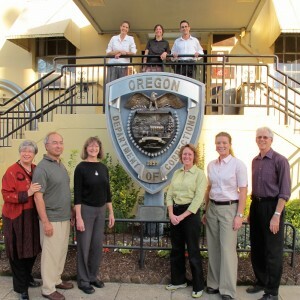 Upon successful completion of their third year of leading, qualified Peer trainers become OPP Certified NVC Trainers. If desired, OPP Certified NVC Trainers also receive support in gaining professional NVC Certification through the international Center for Nonviolent Communication (CNVC), and are also provided business development support when they return to their communities. OPP currently has 10 inmates participating in the Peer Training Program, with five Peer Trainers already serving as co-facilitators or lead trainers in our OSP classes.